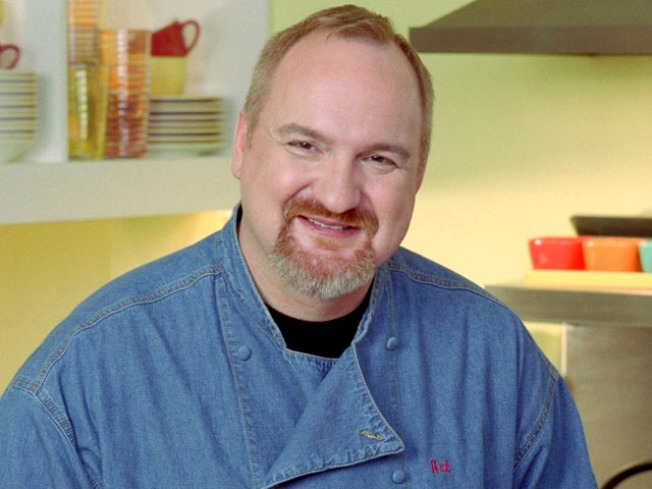 Art Smith, owner of Chi's Table Fifty-Two and Oprah's personal chef of more than a decade. Dammit, Barack Obama, when will you stop being so gosh-darned cool? The Daily News reports the Prez-Elect has already shortlisted three names for the frankly-never-before-terribly-coveted position of First Chef, the person who'll head up the White House kitchen: Art Smith, owner of Chi's Table Fifty-Two and Oprah's personal chef of more than a decade, Daniel Young, the only black candidate, and currently the personal chef to Carmelo Anthony of the Denver Nuggets forward (quick, foodies: which sport is that? ), and Rick Bayless, he of the cookbooks, the restaurants (like Topolobampo, also in the Windy City), the gourmet salsas, the cookware line, the Food Network shows and the much-speculated-about effeminate mannerisms. Our money's on Bayless both because of the sheer star power, and because we just don't think Oprah would take kindly to having her chef poached. Meanwhile, we're pretty sure that low wail we hear is Emeril, throwing himself on his zester.